Before selecting a label solution, it is important that you understand the differences between direct thermal and thermal transfer printing technologies.Each method uses a thermal printhead that applies heat to the surface being marked. Thermal transfer printing uses a ribbon to produce durable, long-lasting images on a wide variety of materials. Direct thermal printing does not use a ribbon and instead creates the image directly on the printed material. Direct thermal printing uses chemically treated, heat-sensitive media that blackens when it passes under the thermal printhead. Direct thermal printers have no ink, toner, or ribbon. Direct thermal materials offer a shorter life than thermal transfer and may fade over time. 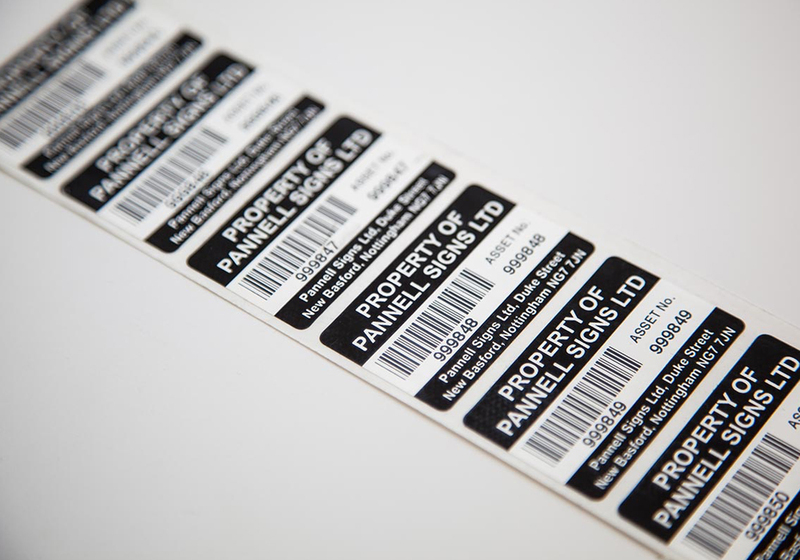 Direct thermal labels offer minimal resistance to heat, light, abrasion, and chemicals. Exposure to these items will cause the material to darken, resulting in the text and barcodes that are unreadable. For these reasons, direct thermal printing is not used for demanding applications. In thermal transfer printing, a thermal printhead applies heat to a ribbon, which melts ink onto the material to form the image. This technique provides image quality and durability that is unmatched by other on-demand printing technologies. Thermal transfer offers a wider variety of materials than direct thermal, including paper, polyester, vinyl, polypropylene and polyimide materials. Thermal transfer solutions are much more durable than direct thermal, as they are resistant to a wider variety of temperatures and chemicals. 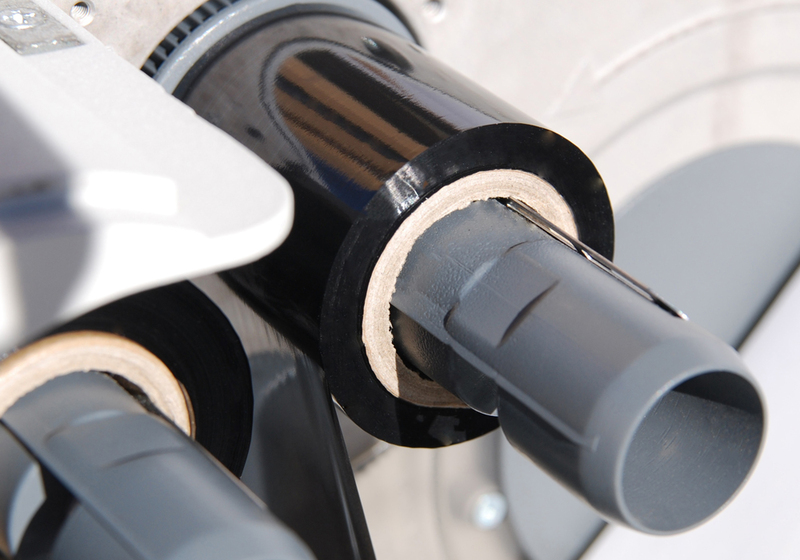 To obtain resistance to very demanding environments, the specific label material and ribbon must be carefully matched. Designed for applications that use paper facestocks in environments with little to no exposure to weak chemicals and / or exposure to moderate abrasion. Optimized for use with select paper and matte synthetics in environments with moderate to extreme chemical exposure and/or exposure to moderate abrasion, or where UL/cUL approval is required. Designed for use with synthetic materials in environments with harsh to extreme chemical exposure and/or exposure to excessive abrasion, and where UL/cUL approval is required. he application temperature is the temperature in which the label is being applied. For example, a new test tube is taken out of a box at room temperature, and a label is applied, the application temperature is 70ºF (21ºC). Service temperature is the temperature range in which the label will be used. For example, the same test tube is filled with a sample and cryogenically stored. Sometime later, it is thawed and sterilized with steam. The service temperature range is -112ºF (-80ºC) to 212ºF (100ºC). Standard materials generally perform well when an application temperature is a minimum of 25 degrees F and in-service temperatures ranging from -65 degrees F to 200 degrees F. Labelling in conditions outside of this range requires the use of a thermal transfer solution and normally requires a specialty adhesive to ensure that the label remains secured. Contact and rubbing will affect readability over time. If in your application, the label will come into contact with items that could scratch it and make it unreadable, a ribbon with a higher resin content will provide improved resistance. If an applicator is to be used this must be known up front as the label must be cut differently so that it peels off properly from the liner. In addition, perforations are also not recommended as they change the stiffness characteristics of the label making the label difficult to release from the liner. Product identification labels are now viewed as a critical mechanism for maintaining compliance, ensuring brand consistency, improving operational efficiency, and supporting business growth. If your product will be subjected to the elements outdoors (rain, sun, etc. ), a thermal transfer synthetic material would be the optimal solution, as the label and the image provide the added durability required to survive these tough environmental factors. Knowing how long the label will need to be readable for in addition to the environmental factors will help you identify the optimal solution. For example, if the label only requires readability for six months and does not need to resist chemicals, moisture, and abrasion, a direct thermal paper label would best meet your needs. 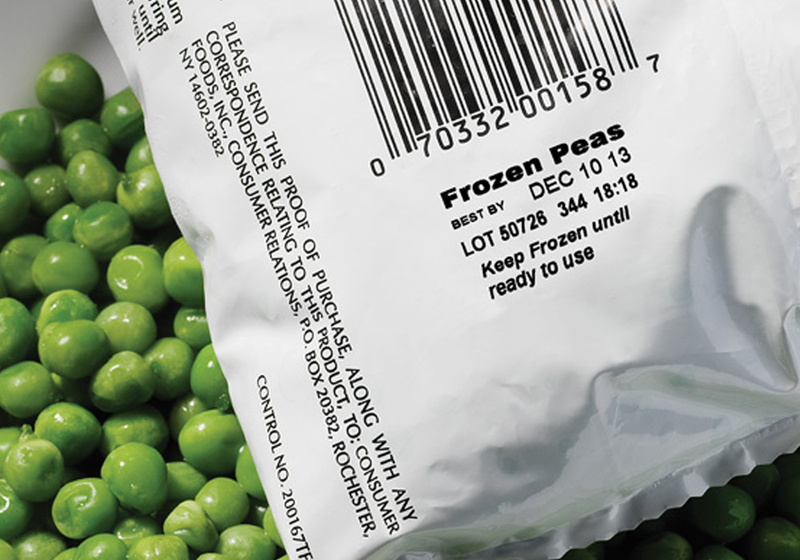 However, if the label will be subjected to moderate chemicals and be on an item that will be stored outside for over three years, a specialty thermal transfer synthetic label would be required. This is a key consideration, as material and ribbon selection will influence the maximum print speed. 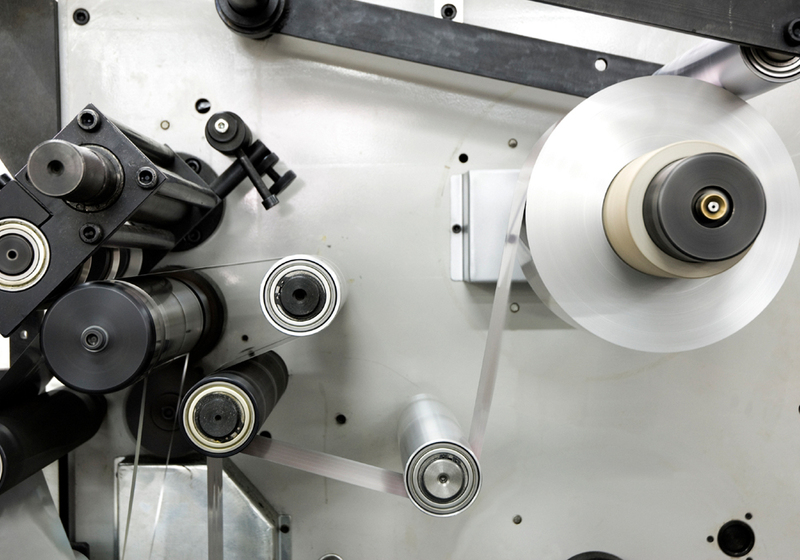 Typically, synthetic labels do not produce quality text and barcodes above 6 ips, and in order to print at 12 ips or higher a thermal transfer paper label with a high-speed wax ribbon is required. Increasing print darkness is necessary when printing at faster speeds to get the best barcode grades and print quality. When using higher-grade ribbons, which require additional energy, a higher print darkness is also required. Using a printer with a higher DPI is necessary when printing formats with detailed graphics and / or small fonts. However, to properly resolve the format, you will also need to use a material with a very smooth or gloss surface, such as a synthetic. Product identification labels are now viewed as a critical mechanism for maintaining compliance, ensuring brand consistency, improving operational efficiency, and supporting business growth. They are the final link between your company and key stakeholders including customers, consumers, caregivers, patients, and regulators.